In November 2012, a box arrived in my office from Orascoptic. Inside was a radical new magnification product that the company was calling XV1. At the time I tweeted that I was evaluating a new product that looked very promising and several of my Twitter followers chided me for such a cryptic post, but it's sometimes hard to be open when companies have requested my confidentiality…. and that is a request I always honor. However, I meant what I said back then. From the moment I slipped the XV1 surgical telescope system on, I was impressed. The unit is a completely self-contained set of telescopes and an LED lighting system… all in one. There are no wires, no battery pack, nothing to do other than to put the glasses on and go to work. In the picture above, you'll notice that at the end of the arms are cylinders. These cylinders hold rechargeable batteries. You place one battery in each cylinder and they are threaded onto the end of the arms. This performs 2 functions. 1. It eliminates cords and the need for a battery pack as the batteries are now a part of the frame. 2. The weight of the batteries helps counterbalance the weight of the telescopes, decreasing the weight on the operator's nose. The light is the smallest one that Orascoptic makes which helps reduce weight, but the intensity is powerful. It offers 2 settings of 2500 foot-candles (26,875 lux) and 4000 foot-candles (43,000 lux). In my rather extensive use of headlights & "nose lights" in dentistry I've found that 4000-4500 foot candles to be in the "Goldilocks zone" of bright enough to more than adequately illuminate the field, while not too bright which can cause eye fatigue. The power control is actually located in the logo on either temple and is capacitive touch. The advantage of this is that the light is controlled simply by touching the logo with the back of your hand or forearm. This allows the operator to turn the light off, on, or cycle through low or high power without touching the glasses with contaminated gloves. This greatly reduces the chance of cross contamination. The batteries can provide 6 hours of run time on high and 10 hours on low. This is more than enough for most offices, but should you run short on power, the unit comes with 2 sets of batteries and recharge time is only 2 hours. That means that a spare set will always be charged and ready. The system also comes with the charger, 4 rechargeable batteries (mentioned above), an orange curing filter so you can use your light without setting composites, a carrying case, 2 screwdrivers, and a cleaning cloth. The XV1 was introduced to the world last week at the Chicago MidWinter Meeting. My only regret is that I couldn't tell readers and lecture audiences about it earlier. I think it is that capable of making a serious impact on the profession. The XV1 has performed above and beyond my expectations and is now the "go to" magnification option in my office. After 3 months of hands-on clinical usage, I simply cannot work without it. The device has earned my highest recommendation. Firefox has been a major source in the browser category for quite some time now. The open source Mozilla project spawned the Firefox browser and has done an admirable job of keeping it relevant. There are lots of raging fans who use Firefox every day. However, even with all of that success and name recognition there war lots of stunned folks when Mozilla announced a few months ago that they were working on a mobile OS called Firefox OS that would be capable of running a smart phone. With Android and iOS being the twin 800 pound gorillas in the category, many wondered what would tempt users to try Firefox instead of the well recognized names and leaders in the market. Well now comes word from the Mobile World Congress in Barcelona that Sony is working with Mozilla on the possibility of a Sony built Firefox phone in 2014. Sony and Telefonica have developed a partnership that could put this Firefox phone into the hands of Telefonica customers. 25 February 2013, Barcelona, Spain – Telefónica and Sony Mobile Communications (“Sony Mobile”) today reinforced the strength of their commercial partnership in a multi-year agreement that confirms the operator’s ranging support for Sony Mobile’s 2013 Xperia™ Android device portfolio, as well as laying out a joint technical collaboration to explore the development of a handset running Mozilla’s Firefox OS open source mobile platform. Sony Mobile and Telefónica are long-term partners and Sony Mobile has in the past year steadily grown its portfolio of premium Android-based smartphones available on the Telefónica network, including the Xperia™ T – aka ‘The Bond phone’ and now the acclaimed Xperia™ Zsmartphone and Xperia™ Tablet Z. Under the terms of the agreement, Telefónica and Sony Mobile will further strengthen their partnership and investigate emerging technologies such as the Firefox OS platform to extend Sony’s premium product portfolio to a wider customer base. Firefox OS marks a significant milestone for the industry, enabling for the first time devices to be manufactured to totally open web standards. It will provide customers with a rich, open and dynamic smartphone experience. Savannah, GA (February 26, 2013) – Brasseler USA®, a leading manufacturer of quality instrumentation, innovation and superior service to the dental industry, is pleased to announce that its EndoSequence® BC Sealer™, a component of the company’s complete EndoSequence endodontic obturation system, has garnered a myriad of success from a research standpoint. Brasseler’s incorporation of bioceramic nanotechnology into its BC Sealer has been embraced by the dental community as a revelation for root canal sealing and healing. Since its introduction in 2009, many positive studies have established BC Sealer as a new standard for successful endodontic obturation procedures. Unlike conventional sealers on the market, BC Sealer utilizes the moisture naturally present in dentinal tubules to initiate its setting reaction. This highly radiopaque and hydrophilic sealer forms hydroxyapatite upon setting, and readily forms chemical bonds to both dentin and Brasseler’s patented bioceramic filling material points (EndoSequence® BC Points™). In fact, a recent study revealed just how superior BC Sealer’s bond strength is when compared to other popular sealers.1 The study varied the moisture content to determine its effect on bond strengths, and BC Sealer outperformed all other sealers at all moisture levels. Moreover, unlike traditional sealers, BC Sealer exhibits absolutely zero shrinkage and is extremely biocompatible and osteogenic, successfully displaying all the essential characteristics of an excellent root repair material. The unique osteogenic properties of BC Sealer make it particularly effective on non-vital cases with extensive bone loss or apical periodontitis. A recent study proved BC Sealer to be much more biocompatible than other leading sealers on the market.3 This truly revolutionary sealer has remarkable healing properties and is specifically designed to be non-resorbable. Because the sealer is essentially a root repair material, in the event of a slight overfill (puff), the common anti-inflammatory reaction is eliminated. Extremely small particle size and a hydrophilic nature allow BC Sealer to exhibit excellent flow into all aspects of the canal anatomy. A recent study indicated that BC Sealer has a contact angle that is substantially lower than all other sealers tested.4 This unique feature greatly improves its ability to bond to dentin as well as obturation materials, and also improves its ability to effectively kill microbes throughout all aspects of the root canal system. BC Sealer can be used with cold or heated methods, and can either be syringed into the coronal third of the canal or delivered by a hand file or point. However, many users have come to the conclusion that heat is not necessary because of its slight expansion (.03%) and its superior bonding abilities. For more information about EndoSequence BC Sealer and all Brasseler products and services, please visit www.BrasselerUSA.com or call 800-841-4522. There are usually two shows where manufacturers tend to do their major product announcements here in the US. The first is the annual American Dental Association meeting. The meeting is held in the mid-fall time range and its location rotates throughout the country. The second is Chicago which is always held near the end of February and features an exhibit hall that rivals the ADA meeting. Dental innovation seems to run in a bit of punctuated equilibrium where some years you see lots of innovations announced with other years much less. Until you make the journey, it's difficult to predict what type of year it will be. This year was an amazing crop of innovation, some of which was announced here in posts that both preceded the show (See? It pays to read this blog… I have connections… trust me) and were also announced during the show. Here's a recap of some of the things that were announced here in the last few posts. I'll be working on getting more posts about other innovations I saw throughout the days ahead. Imaging Sciences International (ISI) is synonymous with cone beam 3D imaging. The company has long been known for great hardware & software. The images are amazing and the company has a serious commitment to innovation. When ISI puts something new into the market, the market takes notice. That was certainly the case with the new i-CAT FLX. The idea behind the device is indicated in its name. The FLX is designed to be flexible in the way it can be used. It allows for a large number of views so that only the area needed is scanned. This allows the device to decrease radiation exposure to the patient. It also features a new software system called SmartScan STUDIO which sports a touchscreen interface. However, the most impressive aspect of the FLX is the fact that it can produce a true 3D image of a patient with a clear resolution that requires less radiation exposure than a traditional 2D digital panoramic. That's right, for the first time in the history of 3D dental imaging, you can now get a full scan of a patient for less exposure than digital 2D. Over the years that I've been lecturing on cone beam, one of the most frequent questions I get is regarding when 3D will replace 2D as the "go to" and most common image we take of our new patients. I've always said that I'm sure at some point in the future we will reach that point, but I was never sure when that would be. Now with the ability to get exponentially more data with less exposure, that time is here. SRT stands for Scatter Reduction Technology. The image above is a great example of what this will do. In 3D, one of the battles for image quality has revolved around reflection of rays which cause some bleeding over of the reflection into & onto adjacent surfaces & teeth. Called "scatter" this is something that can frequently interfere with the diagnostic quality of a scan. Gendex announced an upgrade to their new GXDP-700 panoramic unit that greatly reduces the amount of scatter in an image. This is a serious breakthrough that is only going to improve. A new DEXIS application provides a novel approach to patient education utilizing one of today’s most popular devices. Hatfield, PA (February 21, 2013) DEXIS is excited to release its latest masterpiece, DEXIS go. This application is a sleek, engaging new way for dental professionals to communicate with patients using an iPad®. A companion app to the DEXIS® Imaging Suite software, DEXIS go was designed to provide a great visual patient experience around image presentation in support of clinical findings and treatment recommendations. Like its parent program, DEXIS go functions as an imaging hub, displaying all radiographic and photographic images within a patient’s record. DEXIS users will find a comfortable familiarity with its simplicity and quad environment; they'll also find that it's been infused with a modern iPad-style flair and elegance. •New graphical environment presents beautifully on the iPad's retina display. •For easy and quick access, a simplified patient list displays only those who are currently open in DEXIS Imaging Suite. •Images shine in full-screen mode; the interface disappears and puts focus on the image. •Supports both landscape and portrait orientations (for horizontal and vertical X-rays). •Takes full advantage of multi-touch gestures for intuitive image navigation. •Swipe through images, pinch to zoom, pan and apply the ClearVu™ enhancement tool. •Images displayed on iPad can be mirrored on the practice's widescreen TV using AirPlay®. •Lightbox mode lets you present images in a nostalgic, wow-invoking way. •Connects via the practice's Wi-Fi network. •Best of all, this app is FREE to registered users of DEXIS Imaging Suite software 10.0.5 or higher and is now available in the Apple® iTunes® store. To experience DEXIS go first hand, download it for free from the iTunes store; it includes a set of sample patients and images that can be used to test the app even without having DEXIS Imaging Suite installed. This new app works seamlessly with the recently released DEXIS Imaging Suite software. This next-generation software architecture brings exciting new features including a cosmetic imaging module, an enhanced implant planning module, added video capabilities in DEXimage, integration with select 3D products, and of course, the new companion iPad app, DEXIS go. Find out more about DEXIS go at www.dexisgo.com. This has the potential to be huge. One of the major drawbacks to viewing cone beam 3D images is the reflection and artifacts that are created by metallic and other types of radiopaque materials. Now Gendex has created software to help deal with this problem. Hatfield, PA (February 20, 2013) Gendex introduces SRT, Scatter Reduction Technology, to its award-winning GXDP-700TM Cone Beam 3D system. This new feature allows clinicians to reduce artifacts caused by metal or radio-opaque objects such as restorations, endodontic filling materials, and implant posts. New cone beam 3D system optimizes clinical control, ease of use and fast workflow. Hatfield, PA (February 20, 2013) Imaging Sciences International is pleased to announce a new addition to the award-winning i-CAT® family of cone beam 3D imaging — the i-CAT® FLX— an innovative 3D imaging solution that can help clinicians to quickly diagnose complex problems with less radiation* and develop treatment plans more easily and accurately. This newest system to the i-CAT brand offers 3D planning and treatment tools for implants and restorations, oral and maxillofacial surgery, orthodontics, plus TMD and airway disorders. i-CAT® FLX has a range of innovative features that deliver greater clarity, ease-of-use, and control. Visual iQuityTM image technology provides i-CAT’s clearest 3D and 2D images*. QuickScan+ allows for a full-dentition 3D scan at a lower dose than a panoramic image*. SmartScan STUDIO’s touchscreen interface and integrated acquisition system yields more control and workflow flexibility by allowing the clinician to easily select the appropriate scan for each patient at the lowest acceptable radiation dose. Ergonomic Stability System (ESS) offers seated positioning, robust head stability, and adjustable seating controls to minimize patient movement, thus reducing the need for retakes. ESS also provides wheelchair accessibility. i-Collimator electronically adjusts the field-of-view to limit radiation only to the area of scanning interest. i-CAT FLX’s small footprint fits easily into any practice. Of course, as with all i-CAT products, the Tx STUDIOTM optimized treatment planning software provides immediate access to integrated treatment tools for implant planning, surgical guides, and other applications. In 2012, Imaging Sciences International celebrated two decades of dedication to dental imaging, developing and manufacturing advanced dental and maxillofacial radiography products including the i-CAT® Next GenerationTM and i-CAT® PreciseTM and their exclusive software applications. The i-CAT brand has become among the most trusted 3D radiographic systems in the dental industry. Now, i-CAT FLX continues this legacy. Last summer I got a chance to see a cloud based initiative that Henry Schein was working on. Now its official, the company that owns Dentrix & Easy Dental has just told me that the new initiative will be announced tomorrow at the Chicago MidWinter Meeting. It's a new system that has been in development (secretly) for over 2 years. The system is designed to deliver info to team members based on what role they occupy in the office. Interested? Then stop by Booth 2516 at the Chicago MidWinter Meeting. The company is accepting applications for beta testers with a look toward release by the end of 2013. They won't even tell me the name of the new initiative, but they tell me that I should expect to see "Dentrix" in that name. When I saw the design and features in the summer of 2012, I was impressed. If you are looking for a Cloud based solution, I think this bears examination. If you see it in Chicago, let me know what your thoughts are in the comments section. Orascoptic Announces XV1 & It Is Available NOW! The picture above is the latest "no cord" design from Orascoptic. The system is called XV1 and it is the next generation of "all in one" systems from the company. The idea is an improvement on their initial offering in this space which the company called Freedom. The idea is beautiful in its simplicity. It is surgical telescopes (frequently referred to in the trade as "loupes" but that is a misnomer) with an integrated high output LED light. The light is actually built into the unit which means it is truly "all in one" with no separate battery and NO CORD. The batteries are located in the cylinders at the back of the arms. These cylinders unscrew to allow removal of the rechargeable batteries. I've been working with these in beta since October/November and have come away mightily impressed. The light puts out 4000 foot candles which is pretty much in what I call "The Goldilocks Zone" of not being too bright, but also not being too dark. The on/of switch is located on the logo near the temples. It is touch sensitive and the operator can use the back of their hand to turn off/on and cycle through low, medium, and high intensity. The system is lightweight and incredibly well balanced. These have become my "go to" system for magnification and have replaced my Freedom system completely. They are available now for order. If you are planning on being in Chicago this week at the MidWinter Meeting, you can see them in the Orascoptic booth. After several months of continuous use, I have to say I love these! They are Highly Recommended. Last week I published a post about my clinical experience with Doxa Dental's Ceramir cement. One of the great things I get to do in my role as DPR Technology Editor and "Technology Evangelist" is to see, explore, and use some really great materials and devices. Ceramir has been one of those products. I always try to do my research meticulously and give the opinions of a guy who is "in the trenches" everyday and doing the same clinical procedures as everyone else. However, there is also the research science that is *so* important to what we do and can help validate the clinical experiences of the end user. That's why I was excited when I received word a couple of days ago that a new study showing 3 Year Clinical Findings would be arriving in the next issue of Compendium. It's always nice when clinical experience receives research validation. I highly recommend reading the entire article that is available here on the dentalaegis website. It is well worth the read. After 3 years of clinical observation, Ceramir C&B performed well and in a clinically acceptable fashion as a luting agent for permanent cementation of all-metal (high noble metal) and ceramic-fused-to-metal (noble metal) crowns and fixed partial dentures. Laboratory retention measured through a clinically simulated tensile test method demonstrated equivalent or superior retentive force values for this cement, using zinc phosphate or conventional glass-ionomer cement as a control reference cement to lute both metal-based and all-ceramic substrate crown copings. In conclusion, the results of this clinical evaluation combined with the extensive body of laboratory and biocompatibility data clearly indicates that this new cement chemistry appears quite acceptable for its stated clinical uses, and its bioactive properties may offer promising and new clinical advantages for the future. Classify this as a throw back that may not be such a good idea for a few of you. Back in the early to mid 1990's, the Tomogotchi became a global phenomenon. It seemed like every kid on the planet had one of the little egg shaped virtual pet games. Schools were banning them and they became the center of some kids lives… for better or for worse. That's why I was stunned to see that the toy has been reborn as an Adroid app with all the same addictive principles that accompanied the original. From what I understand, play is amazingly similar to the original and that the app can be just as demanding of your attention as the little plastic egg toy of yesteryear. The app is the product of Namco Bandai which is the company that created the original Tamagotchi back in the day. While it is currently only available for Android, rumors are that there is an iOS app in development. Just in case you didn't get enough of this 20 years ago, feel free to indulge yourself. The app is free and available in the Google Play store. I want to give a huge "thank you" to the University of Alabama-Birmingham School of Dentistry Alumni Association for their amazing hospitality yesterday. I was fortunate enough to be invited down to speak at the meeting and I was impressed with the hospitality, the venue, and the amazing audience that came to hear what I had to say. I did 2 presentations. "Dental Lasers - Science & Substance" in the morning followed by "Day to Day Technology to Improve Your Practice" in the afternoon. Many of the attendees were there for both sessions and I'm incredibly honored by that. It's hard to listen to the same person for an entire day and I'm always grateful when folks will actually put up with me both before and after lunch. The meeting was incredibly well run and organized. They even had a suite reserved for me to eat lunch in and it was nice to be able to get off my feet for a few minutes and relax a bit. After I finished, I unfortunately had to head straight back to the airport… literally, to catch a flight. I finished at about 4:25 and was in a car at 4:30 heading home. I wish I could have stayed for a while, but flight schedules dictated I either left then or stayed the night. I had a great time and am truly honored by the comments and questions from the great crowd. Thank you! CERRITOS, Calif. (February 14, 2013) — Millennium Dental Technologies Inc. (MDT) is pleased to announce the completion of initial LANAP® protocol clinical training and licensure by two internationally known periodontal disease researchers and clinicians at Temple University in Philadelphia. Thomas E. Rams, DDS, MHS, and Jon B. Suzuki, DDS, PhD, MBA, are board-certified periodontists, both holding appointments as Professors in the Department of Periodontology and Oral Implantology at Temple University School of Dentistry, and in the Department of Microbiology and Immunology at Temple University School of Medicine. Dr. Rams holds the Paul H. Keyes Professorship in Periodontology at Temple University, is the Pennsylvania Health Department-licensed Director of the dental school’s Oral Microbiology Testing Service Laboratory, and is noted for his published research on periodontal and peri-implant microbiology, and microbiologically modulated anti-infective periodontal therapy. Dr. Suzuki serves as Chairman of the dental school’s Department of Periodontology and Oral Implantology, and as Director of its graduate periodontology specialty training program. Dr. Suzuki is past Dean of the University of Pittsburgh School of Dental Medicine, current President of the International Congress of Oral Implantologists, and is considered a world-authority on periodontal immunology and aggressive forms of periodontitis. “We are proud to count esteemed researchers and clinicians Drs. Rams and Suzuki among LANAP protocol-trained clinicians. They both exemplify and extend our company’s commitment to the science supporting the LANAP treatment,” said Robert H. Gregg, DDS, President and Co-Founder of Millennium Dental Technologies. Drs. Rams and Suzuki are planning to conduct independent laboratory and clinical studies focusing on the antimicrobial effects of MDT’s PerioLase® MVP-7™ Digital TruePulse™ Nd:YAG laser as it is employed in the FDA-cleared LANAP periodontal treatment protocol, which is regarded as a potentially revolutionary and patient friendly form of regenerative periodontal therapy. “We aim to assess dental plaque microbial changes on teeth that are treated with the LANAP protocol to see how much this accounts for the extraordinary improvements that have been observed in many patients successfully treated with this approach, “explains Dr. Rams. These research activities are to be supported by funds from the Paul H. Keyes Professorship in Periodontology held by Dr. Rams, which also facilitated Temple University’s acquisition of a PerioLase MVP-7 Digital TruePulse Nd:YAG laser, and LANAP clinical training/licensure for Drs. Rams and Suzuki. ABOUT MILLENNIUM DENTAL TECHNOLOGIES, INC. Headquartered in Cerritos, Calif., Millennium Dental Technologies, Inc. is the developer of the LANAP® protocol for the treatment of gum disease and the manufacturer of the PerioLase® MVP-7™ digital dental laser. By providing a less destructive and more tissue-sparing experience with unique bone-building clinical results, MDT’s FDA-cleared LANAP protocol removes the fear from gum disease treatment, offering a vastly less painful and less invasive regenerative treatment alternative to conventional scalpel/suture flap surgery. The PerioLase® MVP-7™ is a 6-watt free-running variable pulsed Nd:YAG dental laser featuring digital technology and 7 pulse durations—the most available on the market—giving it the power and versatility to perform a wide range of soft- and hard-tissue laser procedures and the only laser properly configured to support the LANAP protocol for all periodontal case types. Established in 1990, the company’s founding clinicians, Robert H. Gregg, II, DDS, and Delwin K. McCarthy, DDS, continue to operate the company with a shared vision and purpose: To create better clinical outcomes in patients with periodontal disease—and to remain true to the guiding principle—“It’s all about the patient.” For more information, visit www.LANAP.com. Are We Entering the "Third Era of Medicine"? Washington Crossing, PA – February 13, 2013 – Charles (Chip) Whitney, MD owner of Revolutionary Health Services in Washington Crossing, is one of the nation's leading advocates and educators regarding the Third Era of Medicine, which represents a major change in the mindset of physicians, where the focus is to empower motivated patients to create health. At its core, a Third Era Practice attempts to bridge the gap between standard of care and optimal care by using underutilized innovative technologies and methods supported by institutions like the Cleveland Clinic and the American Heart Association. Dr. Whitney is vice president of the American Academy of Private Physicians (AAPP.org), a growing group of medical doctors, also historically known as concierge medicine or direct primary care practitioners. Dr. Whitney has been actively introducing Third Era principles to local residents and allied health professionals such as dentists and hygienists since 2003. • Partnered with key opinion leader Richard Nagelberg, DDS, to introduce their respective patients to the Carotid Intima-Media Thickness (CIMT) Ultrasound. CIMT is a non-invasive, state-of-the-art test that can detect plaque earlier in its development than any other cardiovascular screening test available. • Authored a “Viewpoint” guest editorial in Dentistry Today, criticizing the confusing message issued by The American Heart Association regarding whether or not there is enough evidence to support the link between periodontal disease and heart disease. • Is an active member of the American Academy of Oral Systemic Health which is a strong proponent of Physician-Dentist collaboration to treat the entire patient in order to achieve optimal overall health. • Uses the MyPerioPath® salivary diagnostic test from OralDNA Labs on patients to detect whether high risk oral bacteria are a contributor to his patients’ vascular disease. • Authored the 4-part continuing education course for dental professionals entitled “A Comprehensive Review of Vascular Disease,” which is posted on INeedCE.com. The purpose of the course is to help dental professionals understand their critical role in treating and preventing the cause of heart attacks and strokes. Dentists, hygienists, and dental assistants can earn up to 8 credits by completing the courses. According to Dr. Whitney, “All humans are ‘rusting’ — that is the degenerative mechanisms that lead to disease are fully in motion, yet the individual does not yet feel it. People who are objectively shown the progression of their “rust” are intrinsically motivated to make the focused changes needed to improve their health path. To learn more about the Third Era of Medicine, direct primary care and private physicians, download the free article entitled “The Third Era of Medicine: A Functional Approach to restoring the Health of America,” from www.RevolutionaryHealthServices.com. You can also contact Dr. Whitney at 215-321-1371. Dr. Charles Whitney graduated from Jefferson Medical College in Philadelphia in 1990 and completed his family practice residency at the David Grant United States Air Force Medical Center. 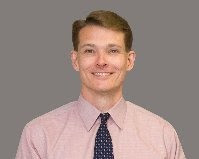 He is double Board Certified in the specialties of Family Medicine and Sports Medicine. His experience includes seven years as an Air Force physician and seven years in the University of Pennsylvania Health System before establishing his own “concierge” practice, Revolutionary Health Services in 2003. For more information, visit www.RevolutionaryHealthServices.com. For the last few months, we've been working with Ceramir cement from Doxa. I've got to say that after doing an evaluation for Catapult and using the product for a while, I've come away impressed. Ceramir is a unique idea in dental cements. It actually facilitates creating of hydroxyapatite crystals on dentin as it sets. This means that the material is truly "bioactive" and does a very nice job. We've found it easy to use and we've had zero reports of post-op sensitivity with the product. The company also reports good retention, no marginal staining, and good film thickness… all of which I can confirm from our clinical experiences. The product comes in a capsule and does require activation by a capsule "activator" (pictured above), as well as mixing in a triturator. Personally, I have not found this to be a problem. The material requires a very precise mixture which would be difficult to achieve in any other way. The material is activated, triturated, then placed in a dispenser that allows the capsule to express its contents into the prosthesis. Stabilize the material for 2 minutes, clean the margins, stabilize for 4 more minutes, and the procedure is done! Ceramir has become my "go to" cement and can be used for all cementation except, veneers and porcelain inlays/onlays. If you'd like more info, here is the company website. There is also some good info from my friend Lou Graham who wrote of the Catapult Group's experience in DPR. For those of you looking to improve visibility during procedures, Lares Research has something just for you. The new Max-Power LED Coupler. This new coupler (which I haven't had a chance to try) features what the company states is "dramatically higher light output than leading competitors' LED couplers. If you are interested, take a look at the company website for more info & ordering details. Are you tired of inconsistent results from your lab technicians? Are your laboratory expenses eating away at your overhead? If you want to take greater control of the restorative dentistry in your practice, then this two day workshop is for you! This presentation is designed to enable dentists to positively affect the level of dentistry that they are able to provide to their patients on a daily basis. The lecture will focus on the skills and materials necessary to place direct anterior and posterior resin restorations that virtually disappear in the mouth. Utilizing the latest in nano-technology composite materials, layering techniques will be reviewed that not only create properly shaped restorations, but will also offset the tooth stress issues related to polymerization shrinkage. Techniques to create tight, appropriately contoured Class II restorations will be reviewed. Layering techniques utilizing nanofilled and microfill composites, opaquers and tints will be taught to create invisible Class IV and other anterior direct restorations. Contouring and polishing techniques of anterior and posterior composites will also be reviewed in detail. This presentation is designed to teach the dentist the appropriate materials and techniques necessary to create beautiful, life-like restorations for anterior and posterior direct resin restorations. • What materials are critical for creating excellent restorations with anterior free hand bonding. • The techniques necessary to blend composite to tooth structure to hide Class IV fractures. • Answers to questions regarding self etch adhesives. • A novel technique to create exquisitely contoured Class II proximal walls. • Putting it all together; employing a systematic approach utilizing nanofilled composites, opaquers, tints and microfills to create natural, beautiful and predictable anterior direct resin restorations. The reality is, passwords are not secure. Not anymore. If you don't believe me, read this article from Wired writer Mat Honan. He is a tremendously gifted tech writer and a smart guy (not that I know him personally, but I do love and read what he writes). In a nutshell, Mat had several accounts hacked this summer using some fairly easy tricks and social engineering. He ended up losing tons, if not all, of his digital stuff. We are all forced to keep an ever-growing list of passwords. Many of us keep them on a piece of paper which we keep hidden away somewhere. Of course, what if that paper is lost or, even worse, stolen? You're pretty much toast either way. Or… you could keep them in a file in The Cloud. But what if The Cloud gets hacked? Last week Twitter announced that 250,000 users had their data compromised. It seems every week there is some type of story hitting the Net about a company getting hacked and hemorrhaging copious amounts of user data. Google is an amazing brain trust. In addition to ruling search, they also spend a great deal of time researching new ideas and technology. Google Maps is just one small example of that. Not is response to the dire situation that Mat Honan experienced this past summer, but in response to a noted need for better security, Google is looking at ways to make the password in reality the "pastword". It's a pretty interesting idea. Imagine a ring (I like this idea *much* better than a phone) that you never take off that is your golden ticket identifier. This idea, of a single identifying device, is a great one. The phone? I've lost a phone in my day… no way am I trusting my digital life to one. A ring? I'd have that sucker welded to my finger. This concept, and others, are going to be discussed in the next issue of IEEE Security & Privacy Magazine. The article that Grosse and Upadhyay wrote will be appearing there. Many concepts are being studied and really a lot of this stuff isn't "pie in the sky" or years away in development. I'd like nothing better than to not have to remember all those passwords or be adding to that list I have hidden away on a legal pad somewhere. What about you? If you are going to be in the Kansas City area this Friday, February 8th and you want to get some seriously great dental education, make plans to attend the GKCDS (Greater Kansas City Dental Society) meeting and listen to my good friend, Dr. Mark Latta. Mark is an incredibly intelligent and even occasionally witty guy (hey I can make jokes, he's my friend) that is a well known research expert on dental materials. He has worked for Dentsply early in his career, so he knows the manufacturer side of dentistry. He's also been in private practice as well as teaching at the Creighton School of Dentistry where, for a number of years, he was in charge of research at the school. Mark knows the materials, but more importantly, he knows the science!!! During his career in manufacturing, Mark contributed to or was responsible for over 20 new dental product introductions. For years, when I've needed an unbiased, science based answer on a material, he's been one of my "go to guys". Oh, there's one other thing. Last April, Mark became the Dean of the Creighton School of Dentistry. You don't experience the level of success that this man has without being at top of your profession. On a serious note, Mark is a truly great human being. He's smart, a speaker who will hold you attention, and someone who you will listen and walk away with pages of useful information. I'm also proud and honored to call him my friend. This event is highly recommended!!! Come and enjoy some great learning. You can pay on site & I recommend getting there at 8:00 for a good seat. Cost is $295 for non-ADA member dentists, $215 for ADA member dentists, and $60 for staff. This presentation will focus on the evidence base for using new materials and techniques and cover the following areas: Dental Adhesives (mechanisms for bonding, proper clinical technique, “self-etching” systems, dual-cured systems) Composite Resins (new microhybrids, flowable resins, low shrinkage materials, technique tips for placement) and Dental Curing Devices (lasers, plasma arc lights, LED lights, halogen lights). A while back, I had a post about a new and intriguing gaming console called OUYA. That post mentioned that the device was shipping, but only to developers to help them learn about the system in order to develop apps for it. Well now the gang at OUYA have announced when the rest of us can get our hands on one. According to the Wall Street Journal, the device will be available for general public purchase in June. However, the device originally debuted as an idea on Kickstarter.com and raised over 8.5 million dollars so if you were one of the folks who chipped in, you will get your device in March while website preorders should ship in April. In addition to the device now being available for pre-order from the OUYA website, you will also be able to purchase it directly from several retailers Target, GameStop, Best Buy, and also from Amazon. The price should be $99 for the console and $50 for an extra controller (the device will ship with 1). However, I also hear that if you prefer, you will also be able to use USB keyboards or USB game controllers. Probably the one advantage to the OUYA controller is that it has a touchscreen between the buttons (the black area in the photo) which may come in pretty handy for some games. For those of you unfamiliar with it, OUYA is an gaming system that runs Google's Android operating system (OS). The project is open source and the idea is that anyone can develop apps for the platform. It will plug into a TV and connect wirelessly to the Internet. I don't have a listing of games yet, but I have heard that iHeartradio is on board with an app that will access their online music system which I like and use a lot. I also don't have any word on the cost of the games, but I would *think* that with no need for packaging or discs, they *should* be less than games for the other major players in the market. The company says that there are currently 200 titles set to debut as I type this. Theoretically there could be many more by launch. For the price, you are not going to get the amazing graphics rendering that you would expect from an Xbox, Wii U, or Playstation, but I've got to think that the games will be fun and playable. Thanks to Ultradent for a Great Cancun Getaway!!! I've just returned from an absolutely amazing week away. I was fortunate enough to be asked by Ultradent to speak at their annual Cancun getaway last week. If you've never been to this meeting, put this on the "To Do" list. A week's worth of fun in the sun combined with dental education. My good pal Dr. Jaime Morgan was also there to provide education as well. It was tons of fun and the weather was a lot better there than in Kansas City, trust me on that. I had a great time and was truly honored to be asked to help with the education piece. For those of you who were there, thanks for all the good times. I can't even begin to outline all the fun I had, but it was a complete blast! I received a suggestion in the comment section the other day & after a bit of research, I've decided it's a good one. I was contacted by Michael C who is a senior at the University of Florida (Go Gators!). He is a Pre-Dental student who, with a friend, have developed a website DAT Question of the Day. In order to be accepted into a dental program, there a several requirements and a high score on the entrance exam, called the DAT, is one of them. When I was in undergrad, the only help I had was buying a study guide or taking a course to help you study, however nowadays that's so old school. This website offers one question a day from past exams Nd they will even email it to you if you sign up for it. There is also an area to click through and review questions. If you are working toward dental school, this appears to be a nice helpful site. Check it out! I tell ya, I could do an entire blog just on iPad stuff and most of that would probably be rumors. However, since I prefer to keep the blog on tech, dental tech, and life, I'll just report the occasional rumor that I think bears repeating. Form what I can glean from research around the Internet, the new iPad (which should be considered if not *named* the iPad 5) will be showing up in the fall. And by the fall I mean October. The biggest improvement in the rumor mill so far? A new display. This new display called IGZO from Sharp and has twice the resolution of an LCD with a 90% savings on energy. That's right 90%. Imagine what that could do for battery life! For at least a couple of years, Apple has been rumored to be interested in using the technology. As far back as the iPad 3, there was speculation it would be used, but the technology just wasn't ready for mass production then. Now it looks like Sharp is ready. The company had a fairly large IGZO presence at the recent Consumer Electronics Show in Las Vegas.